On Thursday, November 15 Bishop McNamara High School launched the #StepUpOurGame Giving Campaign, which gives Bishop McNamara alumni, families, students, coaches, and fans a chance to directly impact all our athletics programs and physical education classes by raising funds for a weight room, locker rooms, and other needs for Bishop McNamara Athletics. 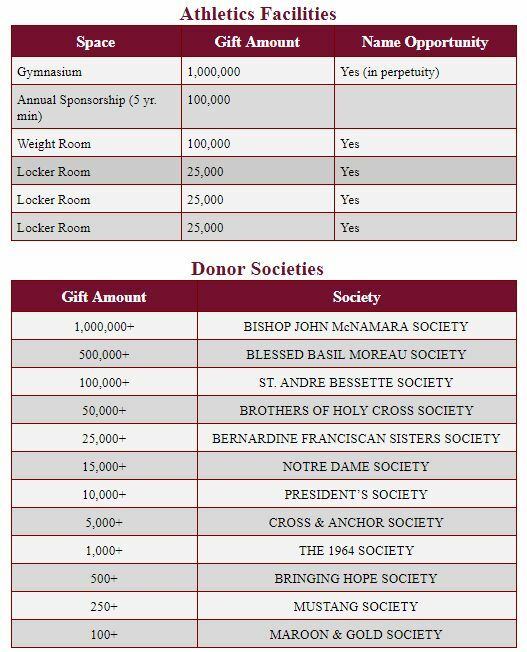 Every gift made to the #StepUpOurGame Giving Campaign contributes to the formation and development of Bishop McNamara student-athletes through providing them with state of the art facilities and equipment necessary for athletics success. The #StepUpOurGame Giving Campaign provides several special recognition opportunities for generous supporters of BMHS Athletics. 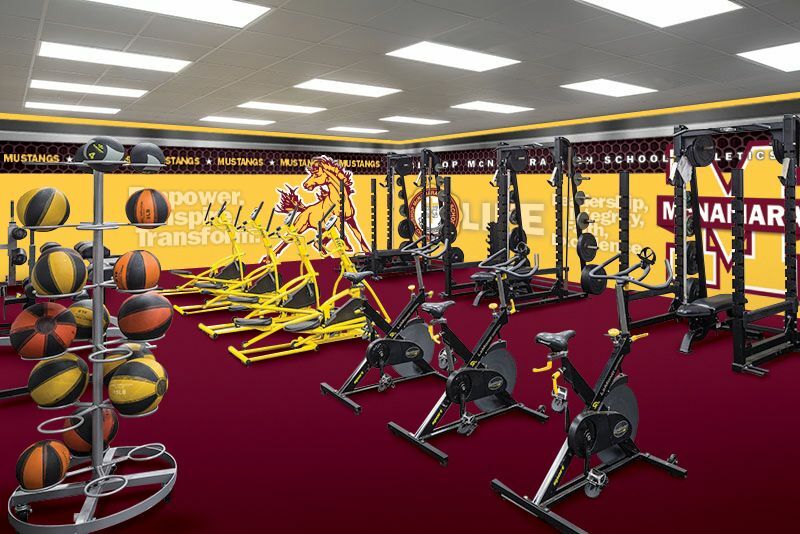 These include the main gymnasium, perhaps the most used space on campus, as well as our locker rooms and weight room to benefit coaches and student-athletes today and better recruit those for years to come. Gifts made to the #StepUpOurGame Giving Campaign will automatically place you into one of several donor societies where your name will be listed in next year's Annual Report. Please see below these special recognition opportunities possible and donor societies associated with the #StepUpOurGame Giving Campaign! Please consider a gift to this special initiative today by giving to the #StepUpOurGame Giving Campaign. We encourage you to post the Campaign on Facebook or Twitter or share it by text or email among supporters of BMHS Athletics. You can also offer matching and challenge gift opportunities, as well as become an Advocate for the Campaign, like many of our student-athletes and coaches have already done by creating a personal plea. Every gift we receive moves us closer to meeting, and hopefully exceeding, our 300,000 goal. Thanks to Mr. Lou Holder and his crew at WMAC for their help to raise support among the BMHS community for the #StepUpOurGame Giving Campaign. 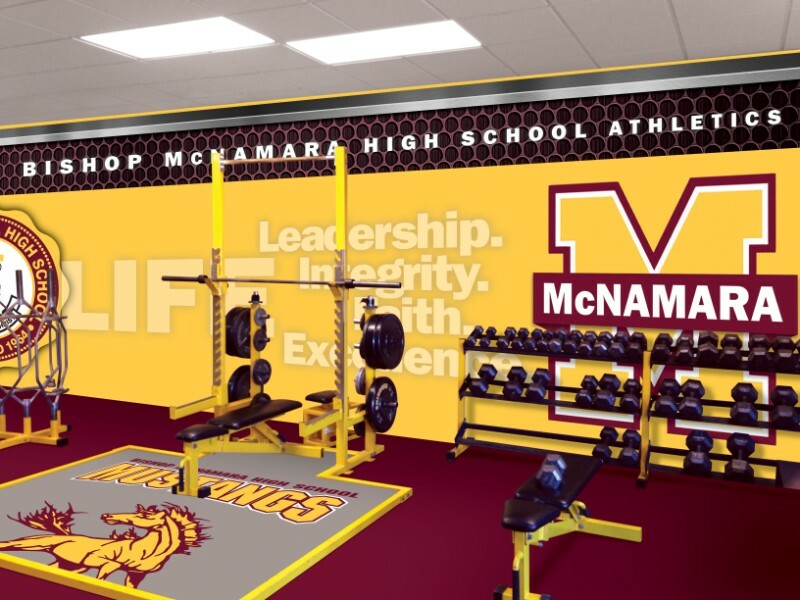 Indeed, your gift to the #StepUpOurGame will make a lasting difference in the lives of our student-athletes and for the future success of Bishop McNamara Athletics.